Inman News is bringing Agent Reboot to Honolulu, Hawaii with an all-new 2011 program on Wednesday, August 24, 2011 from 8 a.m. to 3 p.m. at the Sheraton Waikiki. Plug in to the future of real estate! Inman News is bringing Agent Reboot to Honolulu, Hawaii with an all-new 2011 program on Wednesday, August 24, 2011 from 8 a.m. to 3 p.m. at the Sheraton Waikiki. In just six hours, real estate agents will learn from the best experts in the industry how they can make mobile, social, video, blogging and many more cutting-edge technologies work for their real estate business. Agent Reboot offers the specific, practical and tactical ideas to help make REALTORS thrive. Chris Smith, Chief Evangelist, Inman News, will take the stage as emcee for Agent Reboot Honolulu. Additional national speakers include: Productivity Junkies Founder Darin Persinger, Better Homes and Gardens Real Estate CEO Sherry Chris and Inman News’ Director of Social Media, Katie Lance. Tickets are $49 and can be purchased online at AgentReboot.com. The price is $99 for anyone who registers on-site. 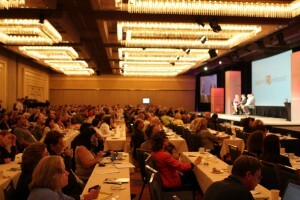 Follow the Agent Reboot conversation on Twitter via @AgentReboot, or follow the hashtag #agentrb. In addition, view additional details and comments from attendees and speakers on Facebook. National sponsors include Better Homes and Gardens Real Estate, Kodak, Lowe’s, Zillow.com, Realtor.com, Diverse Solutions, Century 21, Docusign and Homes Media Solutions. The exclusive association sponsor is Hawaii Information Service. Agents and brokers around the world turn to Inman News first for accurate and timely real estate news and information. Known for its award-winning journalism, cutting-edge technology coverage and forward-thinking conferences, Inman News is the leading independent source of real estate news, education and insight. In addition, for over 15 years, Inman News has been hosting Real Estate Connect — a semi-annual real estate conference for real estate brokers and top-level executives. Connect will be held January 11-13, 2012 in New York City. For more information, visit Inman.com. Photo by Mike Mueller (mike912mueller via Flickr).